Themba Moyo, 36, and Lisa Phendla, 33, have a plan to build the next big thing in instant messaging, and they’re going to do it by allowing consumers to chat to each other on their smartphones, even if they have run out of data or airtime. Their app, Teta, which is already available for download in Google’s Play Store – an iOS version is coming to Apple’s App Store next year – will allow consumers to send messages, photos and even videos with a zero airtime balance, provided they’re on the Vodacom network. 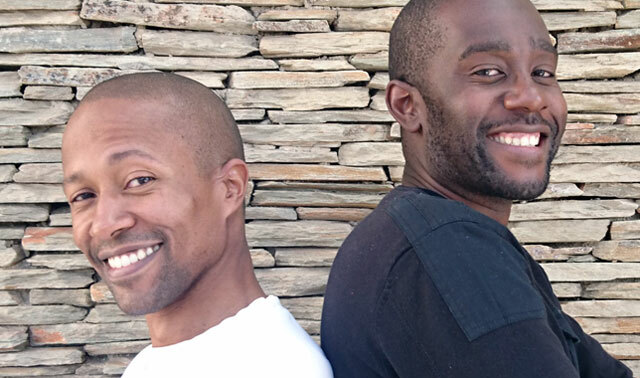 The pair have built their app on the back of a bespoke solution developed by Vodacom and used by Absa to provide zero-rated access to the bank’s online banking portfolio. Vodacom acts as a service provider to Michael Unanne, the company created to develop Teta. The intention, once Teta has secured a meaningful user base, is to pay for the cost of access to the Vodacom platform through in-app advertising, and, of course, to have some profit left over. The data consumers use communicating in Teta does not come off their Vodacom airtime balances but is rather billed on a wholesale basis by the operator to Michael Unanne. “The business model is not dissimilar to Instagram, Facebook or Google in that it will be funded by advertising,” said Moyo, a Zimbabwean-born entrepreneur with a background in IT services who has done most of the coding himself. Although users require an Internet connection and enough airtime to send an SMS during the sign-up phase, further communication through the app is free of charge, provided they have a Vodacom Sim card in their handset. He worked for a company called Seth Consulting until 2010 before striking out on his own with a private consultancy. South African-born Phendla, on the other hand, was computer literate, but specialised in finance, including equities trading. While employed at Regiments, a fund manager, he first came into contact with Moyo, who was providing outsourced IT services to the firm. They didn’t go into business together immediately, though. Not long after, they launched their start-up. Since then, the app has been through three technical models. The most recent involved support from international partners for a server-side deployment. Moyo said he is not at liberty to disclose the partners’ names. Moyo and Phendla control Michael Unanne, though there are other local, unnamed investors, too. Vodacom is purely a service provider, not a shareholder, to the start-up. However, former Vodacom deputy group CEO Andrew Mthembu has acted as the pair’s mentor. Although only Vodacom subscribers can access the zero-rated service for now, anyone can use the app from another network (it will use their data balance). “We intend to expand it to MTN and Telkom later,” said Moyo. The Teta app doesn’t yet allow for voice calling over the Internet, although users can create a voice note in Android and attach it to a message. They can send videos, too, though there is a 2MB file size limitation. There’s also a data transfer limit per month of 150MB planned to make the business case workable. 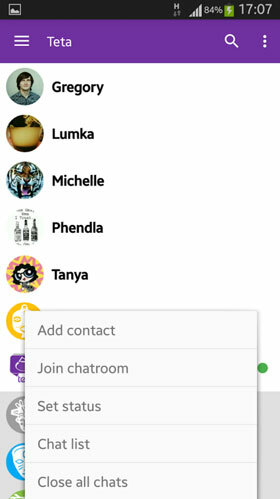 There are no WhatsApp-style user-created chat groups, although there are predefined chat rooms similar to the now-defunct Mxit instant messaging platform developed in Stellenbosch. Unlike Mxit, there is no cost to enter the rooms or send messages to participants. Chatrooms are not moderated by the company. Teta has been built using a cross-platform protocol called XMPP, though it doesn’t allow interoperability between apps, again because the developers need a closed ecosystem to monetise the audience through advertising. The platform uses full end-to-end encryption. 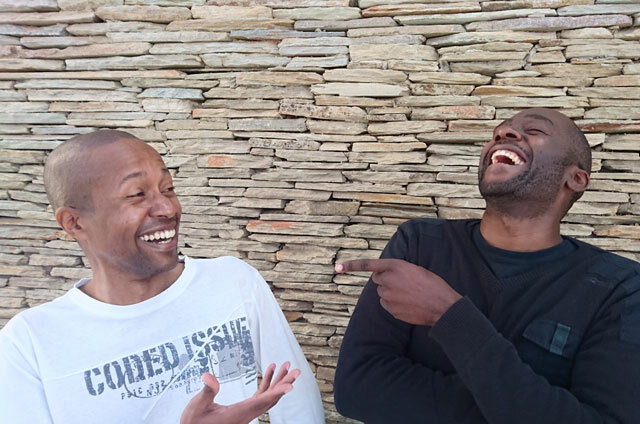 Moyo and Phendla have “boot-strapped” the business themselves – Moyo taught himself to code using an Android emulator on an old Pentium 4 PC. Both have strong views on the venture capital space in South Africa, which they say does not favour pre-revenue start-ups, and especially not ones led by black technology entrepreneurs. You’ve come so far, don’t let race be an excuse. Rwandans do it with little or no money compared to ya’ll. What’s your crowd funding strategy? Not a chance that they will take on whatsapp , but good initiative guys , keep up the great work ,however its not the first though.You want more innovation in SA , than open the doors of funding to all races in SA .Barriers like BEE , EE , funding for black entrepreneurs only are the biggest obstacles impacting growth and innovation in SA. I don’t think that any apps that only work on a single network will ever do well. This article says it works on any network using your data bundle much like Viber, WhatsApp with the advantage that if you are on Vodacom, it is zero rated. Or am i getting it wrong? That said, whether it will succeed or not, only time will tell. Its more complicated than that. Whats important is that they are doing something and dare to dream, unlike the rest of us. They can fail in this venture, who says they won’t succeed in their 4th or even 7th venture. Nobody really knows. You are right, it’s just that their draw card is the free messaging that only works on vodacom. Their competition is however whatsapp that is free on cellc and TM. Good luck to them but they have an uphill battle ahead of them. So you agree that this venture will fail? I don’t know whether it will fail or succeed. I don’t know these guys and what they have up their sleeves. I wish them luck and i am glad they are trying something. They should move to silicon valley where trying and failing is encouraged, not here in SA. However, I will state for the record that at least these guys are trying to do something ‘innovative’, at the very least, and that alone should be applauded. Wayne, you not understanding : the end users arent paying for this, the advertisers will be, regardless of service provider. Whether these guys customers bounce off Vodacom……or other service providers. Hope this all makes sense ? If you understand this concept, yes they are youngsters. Sorry if I’m starting to go on a bit but this is interesting. So Vodacom has effectively reverse billed the data used by this app? I wonder if that’s the same model that CellC and TM use with whatsapp. My question to Unanne would be, why would anyone want to use this app? What’s the main selling point? If it’s that it’s zero rated on Vodacom then that isn’t enough imho. I’d be curious to know though. Inertia is a powerful thing and it will take a lot to move people from whatsapp to this. Wayne, in a nutshell, Unanne has a golden carrot : FREE DATA…even if you run out of airtime !!!! Which part are you not understanding ? That in itself is a huge drawcard for many …problem is critical mass for Unanne….before they go broke……..whichever comes first. Read my breakdown in my prev thread for you. Nice try guys! In one year, this company will not exist. The distinction would come, of course, if it worked on any network, regardless of airtime state. And currently the only way to do that is to either use clever hacks or USSD requests. The latter makes things complicated, and requires a gateway. Also, network operators hate IP based messaging services, as it eats into their long-held SMS cash-cow. As he said: the likes of Cell C offers free WhatsApp data as well. How is this different? By that logic, they’re also very, very old. Whichever base you coming from. Whatsapp….yes, what about other blanket data ? Forget all the negative stuff – it takes courage and a never give up attitude – Well done, stay focused on the prize, change and pivot your model if you must, sooner or later it will pay off.